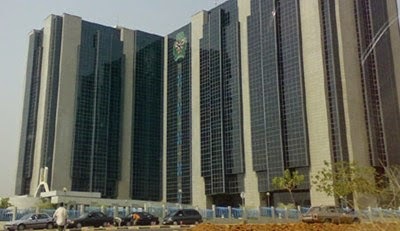 The Central Bank of Nigeria has moved to lessen the pressure on the country’s foreign exchange reserves resulting from spurious demand. A statement by Ibrahim Mu’azu,director, Corporate Communications Department of the apex bank said “we wish to inform all authorized dealers and the general public that, with effect from the date of this press release, the rDAS/wDAS foreign exchange window at the CBN is hereby closed. Henceforth, all demand for foreign exchange should be channeled to the Interbank Foreign Exchange Market. 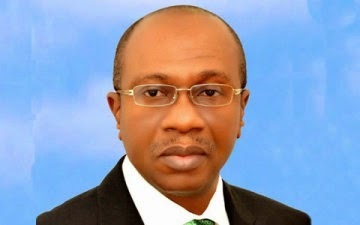 CBN said “In recent times, with the sharp decline in global oil prices and the resultant fall in the country’s foreign exchange earnings, the Bank has observed a widening margin between the rates in the interbank and the rDAS window, thus engendering undesirable practices including round-tripping, speculative demand, rent-seeking, spurious demand, and inefficient use of scarce foreign exchange resources by economic agents. This has continued to put pressure on the nation’s foreign exchange reserves with no visible economic benefits to the productive sector of the economy and the general public. “In view of the foregoing, it has become imperative that appropriate actions be taken to avert the emergence of a multiple exchange rate regime and preserve the country’s foreign exchange reserves. The statement assured”all authorized dealers and the general public should note that the CBN will continue to intervene in the interbank foreign exchange market to meet genuine/legitimate demands. CBN recalled that the managed float exchange rate regime, which the Bank had adopted following the liberalization of the foreign exchange market, has for the most part been successful in ensuring exchange rate stability in line with its mandate. The Central Bank of Nigeria (CBN) has warned that any exporter that utilises its export proceeds for non-eligible transactions will be barred from the foreign exchange market. 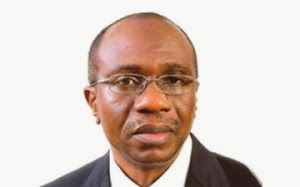 The central bank gave the warning in a circular dated February 20, signed by the Director, Trade and Exchange Department, CBN, Mr. Olakanmi I. Gbadamosi that was posted on its website at the weekend. The document titled: “Re: Unfettered Access to Fund in Export Proceeds Domiciliary Accounts,” was a clarification on the provisions of memorandum 26, paragraph (5), section (D) of the foreign exchange manual. The central bank explained that following different interpretation of the aforementioned sector of the foreign exchange manual, it became imperative to clarify the term ‘unfettered access,’ as contained in the provisions. It informed all authorised dealers and the general public that the term ‘unfettered access’ granted to holders of export proceeds domiciliary accounts shall be strictly construed to mean that the proceeds of the exports in the account can only be used by the exporters to finance eligible and other related transactions supported with appropriate documentation as well as those sold to authorised dealers (banks) for eligible transactions only. “Any exporter that henceforth utilises the export proceeds for non-eligible transactions will be barred from the foreign exchange market in Nigeria. “Please be guided accordingly and ensure strict compliance,” it added. The central bank had last week also said exporters who fail to repatriate their earnings into their domiciliary accounts within the stipulated period will be barred from the foreign exchange market. In an earlier circular also signed last Thursday by Gbadamosi, the CBN had asked all authorised dealers to ensure strict compliance with its provisions. It had cited provisions of paragraph (4), memorandum (11) of the foreign exchange manual in respect of the repatriation of export proceeds. “Proceeds of oil and non-oil exports are to be repatriated into the export proceeds domiciliary accounts of their respective exporters’ accounts within 90 days for oil exports and 180 days for non-oil exports, failing which the collecting banks will be liable to a fine of 10 per cent of the FOB value of the transaction, including other appropriate penalties as provided in the Banks and Other Financial Institutions Act (BOFIA) Act of 1991, as amended. “Where an exporter fails to repatriate the proceeds into the domiciliary account within the stipulated period, the exporter will be barred from participating in all the segments of the foreign exchange market in Nigeria,” it stated. LAGOS — The Central Bank of Nigeria, CBN, yesterday ordered exporters to repatriate their dollar earnings within 180 days or risk suspension from all segments of the foreign exchange market. Meanwhile, the Naira, yesterday, suffered sharp epreciation against the dollar in the parallel market and the interbank market in reaction to the closure of the official foreign exchange market by the CBN. At the parallel market, the naira depreciated by N5 as the parallel market exchange rate rose to N218 per dollar from N213 on Wednesday. At the interbank foreign exchange market, the naira depreciated by N2.51 as the interbank exchange rate rose to N199.1 per dollar from N196.59 on Wednesday. The sharp depreciation of the naira in both markets was attributed to expectation of further depreciation of the naira following the closure of official foreign exchange market. According to Alhaji Aminu Gwadabe, Chief Executive Officer, Sabil BDC, the expectation is that with everybody going to the interbank market to source for dollars, the naira will continue to depreciate. But in a move to eliminate loopholes and boost foreign exchange supply, the CBN yesterday ordered exporters to repatriate their dollar earnings within 180 days. This order was contained in a circular to all authorised dealers by the Director of Trade and Exchange Department, Mr. Olalelekan Gbadamosi. “Proceeds of oil and non-oil exports are to be repatriated into the export proceeds domiciliary accounts of their respective exporters’ accounts within 90 days for oil exports and 180 days for non-oil experts, failing which the collecting bank will be liable to a fine of 10 per cent of the FOB value of the transaction, including other appropriate penalties as provided in the BOFIA 1991, as amended. The postponed general election and the depreciating value of the Nigerian currency are factors that have combined to work against international trade especially importation of consumer goods into the country. This revelation came to the fore last week when the Area Controller, Lilypond Command of the Nigeria Customs Service (NCS), Comptroller Mustapha Atiku held his maiden press conference. Speaking at the event, Commercial Officer, Lilypond Container Terminal, Mr. Kayode Daniels said that the low level of activities was not peculiar to Lilypond but also prevalent at other terminals including the nation’s premiere port, Lagos Port Complex, Apapa. He attributed the low business activities to a drop in volume of imported cargo into the country. “Mearsk Line’s volume is 30 percent less than what they did in 2014. Market is slow; market is stagnant. We have done extensive market research with our customers and we find out that market is not moving. “It is slow. Their (importers’) complaint is that their warehouses are still stocked and there was no way they could import. 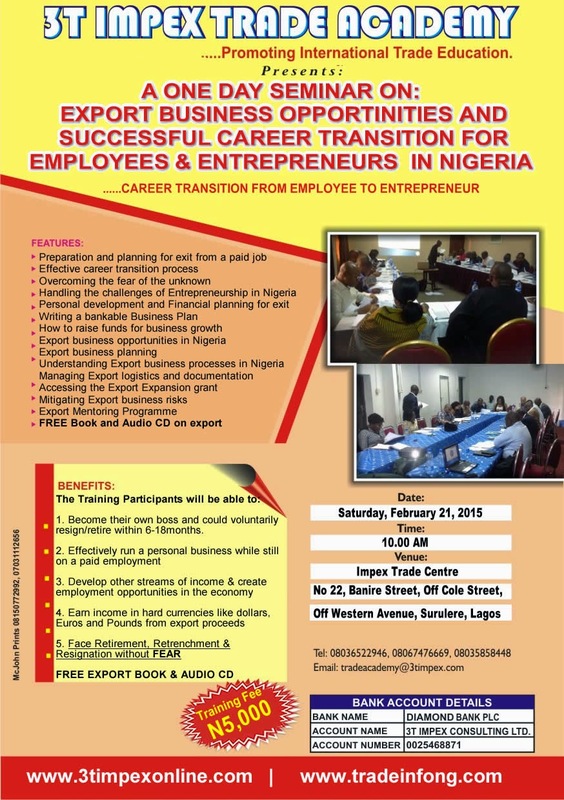 “More so, people are not spending and when people don’t spend, it will be difficult to bring in imports. So these are the challenges that are leading to the drop in volume,” he said. He assured that the terminal has identified some customers who could help in boosting cargo volume so that the command will realize its revenue target. The Command’s Customs Area Controller, on his part, said that the terminal had been hard hit as very few containers are now being stemmed to the facility. He said the year started on a shaky note as the command’s revenue has taken a plunge. Atiku said out of a monthly target of N1.9billion, the command was been able to collect only N852 million in January and has so far collected N198 million in February. He expressed doubt over the command’s ability to realize in February what it collected in January. He also appealed to clearing agents operating at the command to embrace genuine and honest declarations in their customs documentation so as to speed up the clearance of their consignments. 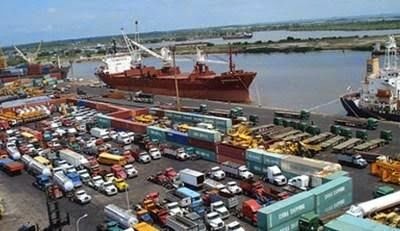 When SHIPS & PORTS DAILY visited some terminals inside the Lagos Port Complex, Apapa and the Tin Can Island Port Complex (TCIPC), it was discovered that almost all the terminals were suffering as a result of what one of the operators called “importer apathy”. “It is not looking good at all. We did about 32 percent less than the volume we handled at this time last year. I do not think activities will pick up until after the elections,” one of the general cargo terminal operators at TCIPC told SHIPS & PORTS DAILY.